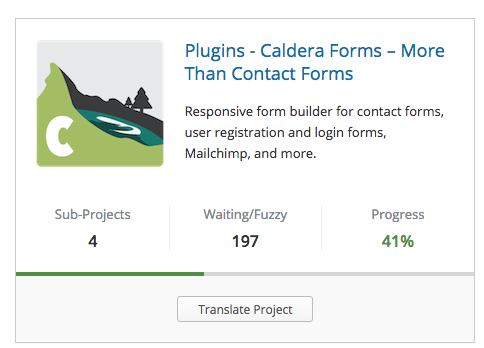 I would find that metric very helpful in choosing the project I'll translate. I often have a small amount of downtime so if I know there's not many remaining strings on a project I'll take it on to bring it up to 100%. This 'Remaining' column would be in with the 'Sub-Projects', 'Waiting/Fuzzy' and 'Progress' metrics and be calculated similar to 'Waiting/Fuzzy' to provide a count of all untranslated strings on the project. Screen Shot 2017-06-12 at 9.12.34 AM.png​ (50.1 KB) - added by garrett-eclipse 23 months ago. 2859.png​ (425.6 KB) - added by ocean90 14 months ago. I like this idea. Quite often, I use to sort the projects according to “remaining strings – least first”. But this way I'd quicker find a good project to give some love. Something like in 2859.png​? Not sure how useful that number is though. Maybe we should show it only if the remaining filter is active (?filter=strings-remaining)? Thanks @ocean90 that's awesome, greatly appreciated. That'll be very helpful when choosing what project you can complete in a limited window of time. If it's not overly intrusive or resource intensive I'd personally like to see it everywhere and not only on the remaining strings filter as it's a metric that'll help when picking what to undertake no matter the filter. Translate: Add remaining count to project boxes.